Pan-African e-commerce company Jumia filed for an IPO on the New York Stock Exchange, per SEC documents and confirmation from chief executive Sacha Poignonnec. In an updated filing, (since the March 12 original) Jumia indicated it will offer 13,500,000 ADR shares, for an offering price of $13 to $16 per share to trade under the ticker symbol “JMIA”. The IPO could raise up to $216 million for Jumia. Since our first story (and reflected in the latest SEC docs) Mastercard Europe agreed up front to buy $50 million in Jumia ordinary shares. 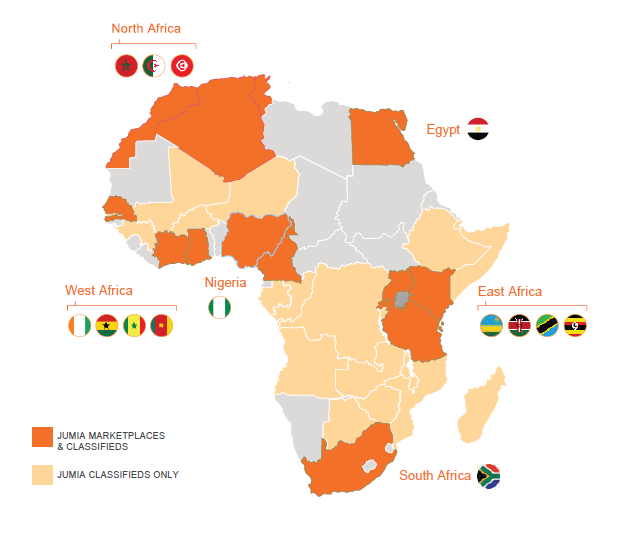 With a smooth filing process, Jumia will become the first African startup to list on a major global exchange. The company is incorporated in Germany, but maintains its headquarters in Nigeria, and operates exclusively in Africa with 4000 employees on the continent. The pending IPO creates another milestone for Jumia. The venture became the first African startup unicorn in 2016, achieving a $1 billion valuation after a funding round that included Goldman Sachs, AXA and MTN. Founded in Lagos in 2012 with Rocket Internet backing, Jumia now operates multiple online verticals in 14 African countries. Goods and services lines include Jumia Food (an online takeout service), Jumia Flights (for travel bookings) and Jumia Deals (for classifieds). Jumia processed more than 13 million packages in 2018, according to company data. The company has started to generate annual revenues over $100 million, but like many burn-rate startups, has done so while racking up big losses. There’ll be a lot more to cover, analyze, and debate pre and post Jumia’s NYSE bell toll—which could happen in coming weeks or months. For example, can Jumia generate a profit, is it really an African startup, will Jumia become an acquisition target for a big outside name or an acquirer of smaller startups in African e-commerce? Stay tuned for continuing TechCrunch coverage. On the acquisition front, Lagos based online lending startup OneFi bought Nigerian payment solutions company Amplify for an undisclosed amount. 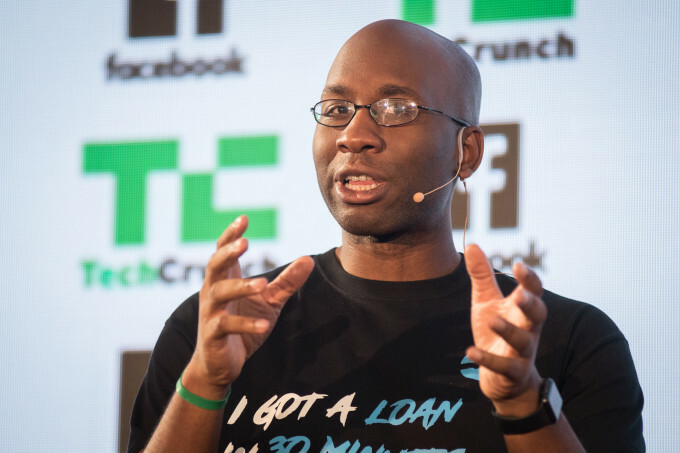 OneFi is taking over Amplify’s IP, team, and client network of over 1000 merchants to which Amplify provides payment processing services, OneFi CEO Chijioke Dozie told TechCrunch. The purchase of Amplify caps off a busy period for OneFi. Over the last seven months the Nigerian venture secured a $5 million lending facility from Lendable, announced a payment partnership with Visa, and became one of first (known) African startups to receive a global credit rating. OneFi is also dropping the name of its signature product, Paylater, and will simply go by OneFi (for now). Collectively, these moves represent a pivot for OneFi away from operating primarily as a digital lender, toward becoming an online consumer finance platform. “We’re not a bank but we’re offering more banking services…Customers are now coming to us not just for loans but for cheaper funds transfer, more convenient bill payment, and to know their credit scores,” said Dozie. OneFi will add payment options for clients on social media apps including WhatsApp this quarter—something in which Amplify already holds a specialization and client base. Through its Visa partnership, OneFi will also offer clients virtual Visa wallets on mobile phones and start providing QR code payment options at supermarkets, on public transit, and across other POS points in Nigeria. On the back of the acquisiton, OneFi is in the process of raising a round and will look to expand internationally, considering Senegal, Cote d’Ivoire, DRC, Ghana and Egypt and Europe for Diaspora markets. On African startups expanding globally, FlexClub—a South African venture that matches investors and drivers to cars for ride-hailing services—announced it will expand in Mexico in a partnership with Uber after closing a $1.2 million seed round led by CRE Venture Capital. The move comes as Africa’s tech-transit space continues to produce unique mobility solutions shaped around local needs. FlexClub touts itself as a “gig economy investment platform” that is creating new asset classes in emerging markets, according to chief executive and co-founder Tinashe Ruzane. That asset class, for now, is ride-hail vehicles. FlexClub allows investors to go on the site and purchase a car (ultimately managed and serviced by FlexClub). 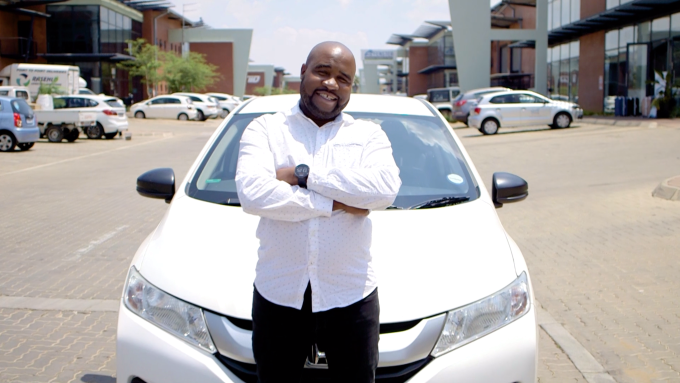 The startup then connects that car to an Uber driver who uses earnings to pay a weekly rental charge. Those fees generate monthly, fixed-rate interest income for the investor. The driver has the option of buying the car after the 12 months, with a descending purchase price over time. FlexClub’s platform manages the investment, rental income, and disbursement of funds across all parties. The startup also handles insurance, maintenance, and upkeep of the cars. Ruzane envisions this as a model to finance multiple asset classes in emerging markets—where lending options are fewer for individuals who may not have credit histories. “Our goal is to make this completely passive… where investors can invest in different kinds of assets on our platform, login to a dash, and see this is how my five cars in South Africa are doing, my vans in Mexico, my motorbikes in Indonesia — with a diversified portfolio around the world,” he explained. FlexClub will begin work matching investors to cars and Uber drivers in Mexico in April. The startup sees opportunities to move into other mobility classes, such as Africa’s ride-hail motorcycle taxi and three-wheel tuk-tuk market, CEO Tinashe Ruzane told TechCrunch in this feature. The deal is part of Dakar Network Angels’ mission of convening experts and capital to bridge the resource gap for startups in French-speaking Africa — or 24 of the continent’s 54 countries. The organization — which goes by DNA for short — will offer seed fund investments of between $25,000 to $100,000 to early-stage ventures with high growth potential. These rounds will come with the entrepreneurial guidance of DNA’s angel network. Launched in Senegal, the organization’s founder is Marieme Diop — a VC investor at Orange Digital Ventures — named the goal of bridging VC disparities between francophone and non-francophone Africa as the primary driver for DNA. She pointed to funding data by Partech indicating that 76 percent of investment to African startups goes to three English-speaking countries — Nigeria, Kenya and South Africa. To gain consideration for DNA investment, startups must gain referral by a member. DNA will take a minority stake (less than 10 percent) in ventures that receive seed funds and provide program mentorship until exits, Diop told TechCrunch. To become an angel, members must commit to investing a minimum of $10,000 a year (for those coming on as individuals), $20,000 (for corporates) and be on hand to support the portfolio startups, according to DNA’s Corporate Membership Charter.